Flyline Pulse Width Modulation (PWM)( MPCT )Pulse Width Modulation (PWM) is an effective and cheapest means to achieve a constant voltage battery charging from a PV module used in a solar system. The PWM controller regulates the current from the solar panel and boosts or reduce the current according to the battery’s condition and recharging needs. When a battery voltage reaches the maximum point, the PWM algorithm slowly reduces the charging current to avoid heating and gassing of the battery, yet the charging continues to return the maximum amount of energy to the battery in the shortest time. The result is a higher charging efficiency, rapid recharging, and a healthy battery at full capacity. In addition, this new method of solar battery charging promises some very interesting and unique benefits from the PWM pulsing. Flyline PWM base solar charger is a " Zero Drop" MPCT (we get 100 % efficiency) back to back PWM charging technology with Auto detection 12v/24v (automatic sensing). We have low and high power solar chargers with LCD display and LED indications. PWM Self-regulates voltage, temperature and it has the Ability to recover lost battery capacity and disulfate's a battery. It can reduce battery heating and gassing that will give the battery more life span. This unit have almost all advanced features. 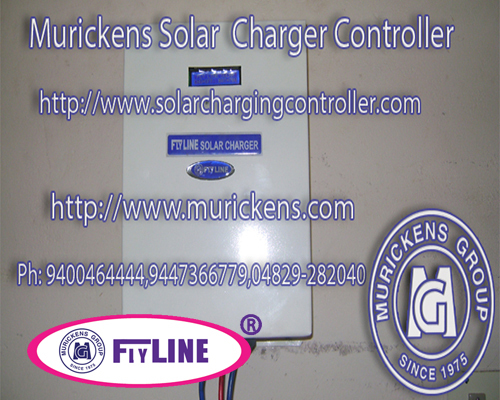 Solar charge controller is essential for controlling solar panel out put power and battery input and out put power. It act as a guard for solar power conditioner system. 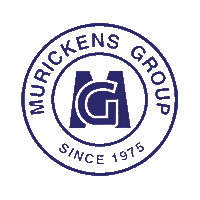 Murickens group adopt German technology in FLYLINE PWM and IGBT solar chargers. Flyline solar charger is almost equal to the performance of MPPT . Our product has international quality approvals. ©copyright protected Murickens Group. All Rights Reserved.